Situated right in the heart of West Harbour you will find this immaculate split level brick and plaster townhouse. Built by one of our very well known local builders Greg Freestone, you can be assured of a quality home. All living areas are upstairs so as to take advantage of the water views. Downstairs are 2 double bedrooms and a single bedroom. The master of course has an ensuite and walk in wardrobe. Although renovated several years ago this home is in pristine condition. There are F&P appliances in the well designed kitchen and the dining and lounge area is open plan living. No lawns to mow with professionally designed gardens and cobbled walkways. 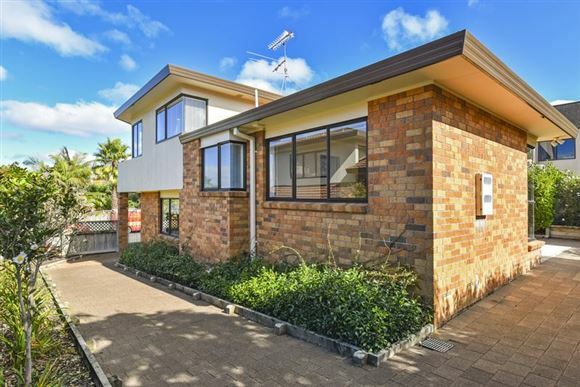 Child and pet friendly, Hobsonville School zone, this fully fenced cross leased home must surely fly out the door. No procrastination on this one, call me now.